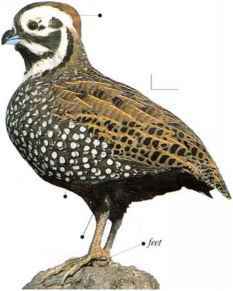 Characterized by a bolder head pattern than those of other quails, this is a bird of woodlands in drier mountain areas. It is found in canyons where oaks are interpersed with grass and on hillsides with scattered conifers. Very much a ground dweller, it tends to crouch and hide among grasses when alarmed. 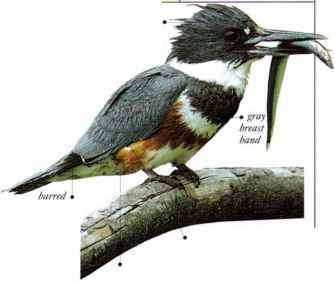 Both male and female look big-headed because of the way in which the crest curves back to enlarge the nape. The male's sandy-colored crest may conceal the vivid black-and-white pattern on the face when he crouches. The birds nest in pairs in the late summer and gather in small flocks after breeding. They feed on seeds and some insects and also scratch up the ground for tubers and bulbs. • NEST A hollow in the ground, lined with grass, and situated in grass.